Washington State University physicists have found a way to write an electrical circuit into a crystal, opening up the possibility of transparent, three-dimensional electronics that, like an Etch A Sketch, can be erased and reconfigured. "It opens up a new type of electronics where you can define a circuit optically and then erase it and define a new one," said McCluskey. "It's exciting that it's reconfigurable. It's also transparent. There are certain applications where it would be neat to have a circuit that is on a window or something like that, where it actually is invisible electronics." Ordinarily, a crystal does not conduct electricity. But when the crystal strontium titanate is heated under the right conductions, it is altered so light will make it conductive. The phenomenon, called "persistent photoconductivity," also occurs at room temperature, an improvement over materials that require cooling with liquid nitrogen. "We're still trying to figure out exactly what happens," said McCluskey. He surmises that heat forces strontium atoms to leave the material, creating light-sensitive defects responsible for the persistent photoconductivity. McCluskey's recent work increased the crystal's conductivity 1,000-fold. The phenomenon can last up to a year. "We look at samples that we exposed to light a year ago and they're still conducting," said McCluskey. "It may not retain 100 percent of its conductivity, but it's pretty big." 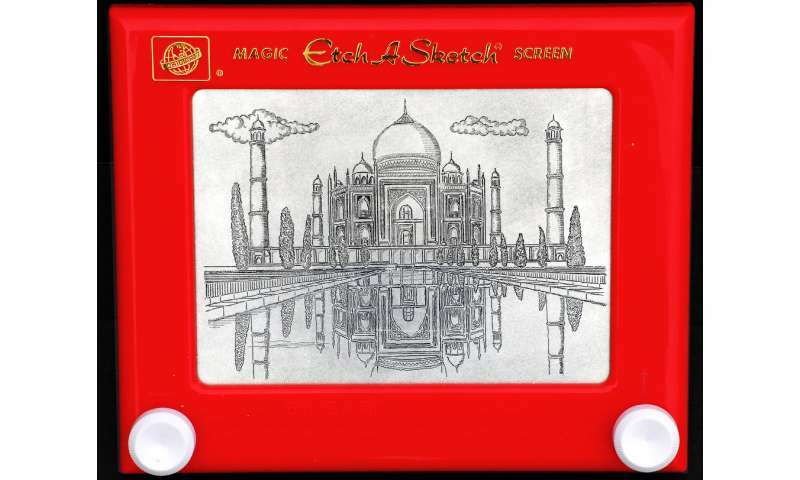 "It's an Etch A Sketch," said McCluskey. "We've done it a few cycles. Another engineering challenge would be to do that thousands of times." The work is in keeping with WSU's Grand Challenges, a suite of initiatives aimed at addressing large societal problems. It is particularly relevant to the challenge of Smart Systems and its theme of foundational and emergent materials.